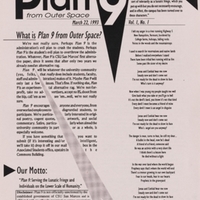 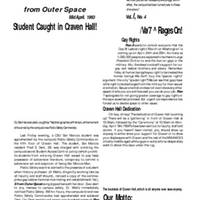 The Plan 9 From Outer Space student newspaper published seven issues between February, 1993 and November, 1993. 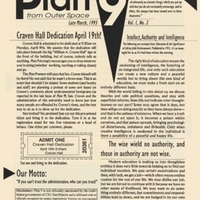 What is Plan 9? 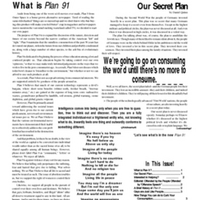 Get the answers in the Vol. 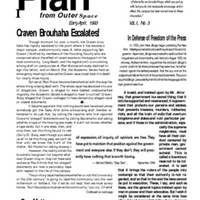 2, No. 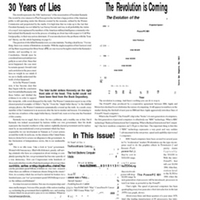 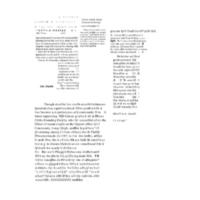 1 edition of the paper.